Koroyd Responds to Wavecel with a Nope! In case you missed it, Bontrager released Wavecel after weeks of hype and many, including me, noticed the similarities between the materials. MIPS, the original anti-slip technology, also responded with an equally dismissive tone. My take is, isn’t it great that we have bike brands arguing over safety v. speed. It’s the cyclists that wins and I welcome more helmet tech. And, a culture from Trek that puts safety first. If your helmet doesn’t have an anti-slip liner in it, throw it out, and buy one that does. All of the tech better protects your brain in the event of a crash because it keeps the helmet on your head instead of rotated off. I’ve included the press release from Koroyd below. Normally, I would read their PR, parse out the marketing, and tell you what they said. Because Koroyd, are scientists and engineers, I’m just sharing it. Koroyd has established itself as the pioneers in head protection following lessons learned from a very high profile air disaster in the UK. A research project, initiated by the CAA, established that a circular tube is the most efficient structure to absorb energy for a given distance. On the back of these findings, we developed Koroyd as an arrangement of thousands of miniature tubes welded together into a single structure. Through the tubular geometry, the Koroyd structure exhibits significantly higher energy absorption capabilities than other materials. 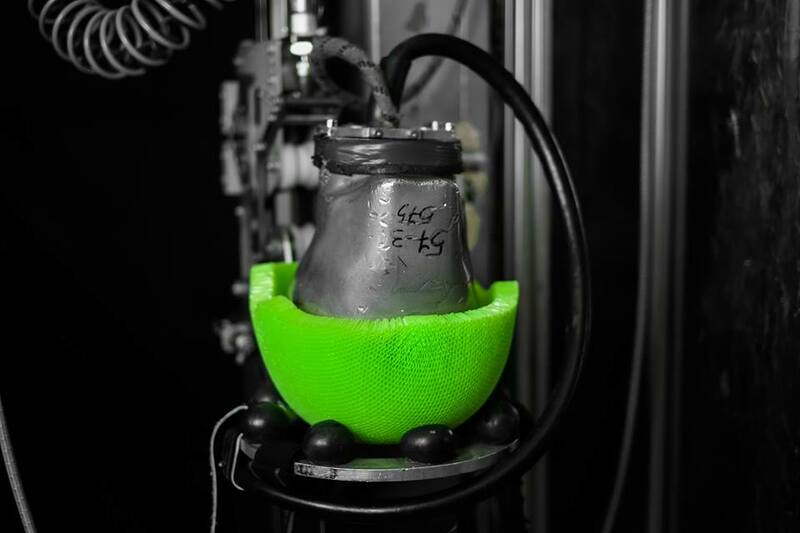 Koroyd was the first open-cell material which was commercially integrated inside helmets to absorb energy through plastic deformation of the geometry, rather than the traditional compression of a foam. In recent years more and more emphasis has been placed on the risks of rotational acceleration to your brain, however it should be noted that this subject still remains unaddressed by the international standards surrounding head protection. Instead, there is a scientific community and various private companies, who are researching and delivering solutions which potentially reduce the risk of rotational acceleration to your brain during an accident. Whilst not currently a legal requirement of any helmet, rotational impacts are known to represent a risk – and one which is actually substantially reduced as a by-product of reducing LINEAR ACCELERATION. Consider that your brain is suspended within a bath of cervical-spinal fluid, surrounded by a protective membrane called the dura. When your head hits something hard, your skull decelerates and stops but your brain continues to move, colliding with the inside of the skull. In this collision, your brain can sustain any number of injuries, from bleeding in the brain, to shearing of the tissue, or bleeding between the brain and the dura, or between the dura and the skull. The type and severity of injury is determined by all acceleration to the brain. Now consider that linear acceleration IS a parameter which features prominently within ALL current international standards, and is an area within which Koroyd equipped helmets DRAMATICALLY outperform the legal limits. This is as a result of Koroyd’s self-imposed ‘Helmet Safety Initiative’ under which Koroyd equipped helmets have to voluntarily meet much lower limits compared to those mandated in the standards. Regardless of the impact direction, ultimately linear acceleration is always going to be important. And reducing linear acceleration will also reduce angular acceleration which is a result of oblique impacts. It is widely accepted that to efficiently absorb LINEAR ENERGY a helmet must make maximum use of the 20-30mm of thickness available within the liner to optimally decelerate your head in an impact – which Koroyd does. To effectively manage linear and rotational forces the helmet must be designed as a complete system. The former requires compression of materials (and in Koroyd’s case a unique ‘crumple zone’ approach), whereas the latter requires a system capable of fluid movement to redirect the energy. This is why established systems which claim to reduce rotational forces typically operate independently of the core liner. Our belief is that any system designed to reduce rotational energy should compliment the helmet’s ability to absorb linear energy, not compromise it by design – especially as it’s actually the latter that is the only component of the global certification requirements. Whilst we welcome any advancement in helmet technology which has the potential to lower the risk of injuries, Koroyd remains wary of a technology that potentially shift’s the pendulum of the debate way too far in the opposite direction from established industry standards, favouring a focus on reducing rotational acceleration, at the potential detriment of linear impact performance. Helmets have to offer holistic protection against linear and rotational acceleration. 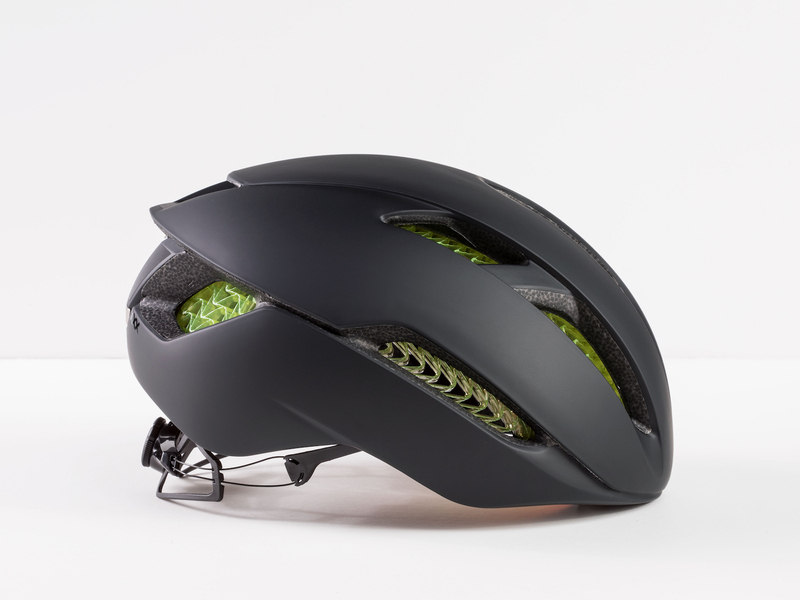 We are currently evaluating the Bontrager helmets under the same published test protocols that the rest of the market are working to. Despite the fact that we strongly believe the existing helmet standards allow helmets to be certified to a level which represents too high a risk of injury (which is why we established the Koroyd Helmet Safety Initiative), we also believe that it is important to offer consumers accurate information based around industry-wide, standardised test protocols. Koroyd equipped helmets are currently exceeding global industry standards in cycling, snow, motorcycling, industrial safety and military markets. Over the last 10 years our company has developed a profound knowledge of materials, construction, accident dynamics and human injury tolerances, we apply it daily through all our activities. We are looking forward to seeing more scientific led research and solutions as well as acceptance across the board as to what better performinghelmets are and then to ultimately see that implemented in future standards. There is currently too much marketing led communication which is not built on accepted knowledge – we all have a duty to present factually to those enjoying our products, whatever their activity.